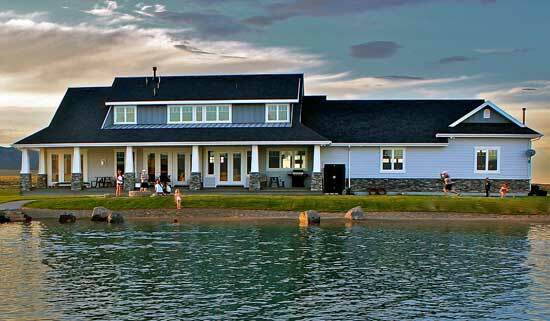 is a community made up of 19 home lots, 16 of which are located on the North Lake and have 140 feet of lake frontage. 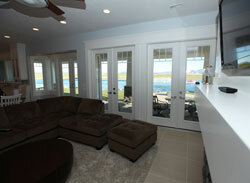 All 19 lots come with a private boat house and rights to utilize the lakes. Lot sizes range from .5 acres to approximately 1.4 acres. Each lot has power, culinary water, and irrigation water provided. Minimum size requirements are 1800 square feet for single level homes and 2200 square feet for a 2-story home. Covenants require full landscaping of the lots within one year of purchase, however there are no time-requirements for building a home. Covenants also govern the architectural style of the homes in an effort to create consistency throughout the development. Briefly stated, Last Chance Lakes is following an architectural style comprised of cement board siding, stone, and timber. Imagine Park City meets Lake Tahoe. For a more detailed description on the restrictivre covenants, please reference the Architectural Design Guidelines.